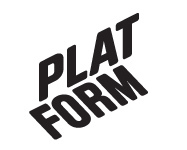 December 2011 – Platform r.f. Welcome to Platform Live, 18.12.2011, 15.00 at the Kuntsi Museum of Modern Art. On the program is an artist talk by Dutch artists Wouter Osterholt and Elke Uitentuis. The Dutch artist duo Wouter Osterholt and Elke Uitentuis will present several of their former projects and tell about their more recent experiences at Occupy Amsterdam, where they had set up a tent in order to contribute to a global political movement. During seven weeks a collective of artists, writers and theorists has been formed around the tent of Artists in Occupy Amsterdam, creating a public program on spot and starting several collective productions.